The final Steering & Learning Group Meeting for the KYTS Programme was held in Lusaka on 6-Sep-18. The meeting was chaired by the Permanent Secretary of the Ministry of Health, Dr Kennedy Malama. 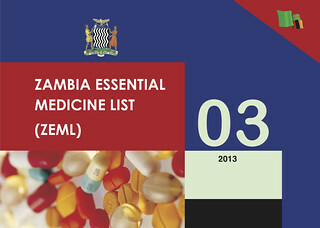 At this meeting Dr Malama confirmed that the Ministry of Health, through their Formulary Committee, had added co-packaged ORS and Zinc to the Zambia Essential Medicines List (EML). This is a very progressive move. To our knowledge only four other countries have done this – Ghana, Kenya, Senegal and Vietnam – and co-packaged ORS and zinc is not yet on the WHO Model Essential Medicines List (although we are working on this). 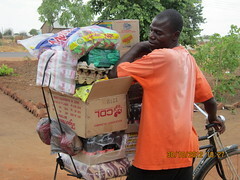 Under normal circumstances the Ministry of Health can only use their budget to purchase items on the Zambia EML. In Aug-18, after a tender process reported here, the Ministry of Health placed an order for 250,000 kits with the local manufacturer of the commercial Kit Yamoyo. 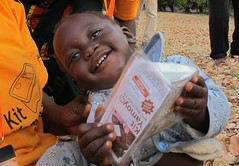 ColaLife has been advocating for this listing since 2016 and in Jun-17 submitted a formal application to Zambia’s Formulary Committee. Although this application was not rejected it did not progress at the time. However, it was given added impetus as we presented more evidence as it emerged from the KYTS Programme (KYTS-ACE and KYTS-LUSAKA projects). Perhaps one of the strongest pieces of evidence came from a survey of dispensing activities in rural clinics in Mongu District. Following a previous survey of ORS and zinc stocking levels in 29 clinics, we revisited all clinics (n=8) which had of all the diarrhoea treatment options available to them in both Oct-16 and Oct-17 to see what treatments were actually dispensed. The month of October was chosen as is generally considered to be the peak of the ‘diarrhoea season’. In Oct-16, when ORS and Zinc were both in stock 44% of cases received both ORS and Zinc. This went up to 87% when co-packaged ORS and Zinc was available. 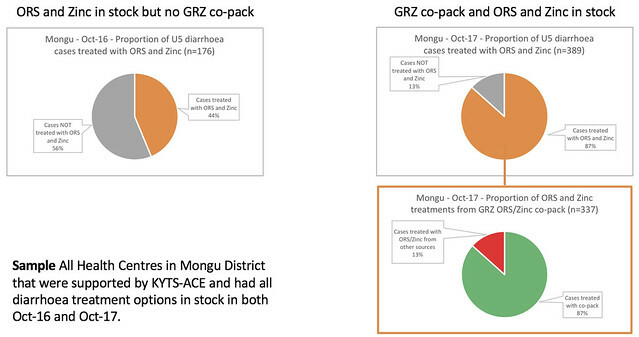 87%* of the combination treatments were delivered through co-packaged ORS and Zinc. Our work to get co-packaged ORS and Zinc of the WHO Model Essential Medicines List continues and we are on target to deliver our application to WHO in Nov-18. Watch this space. 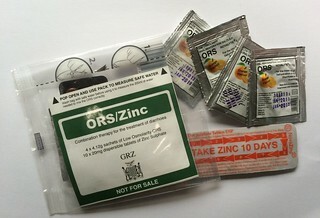 * It is a coincidence that the percentage receiving ORS and Zinc (87%) and the percentage that received this through the co-pack (87%) are the same.